• 2 people like this. Do you like this? 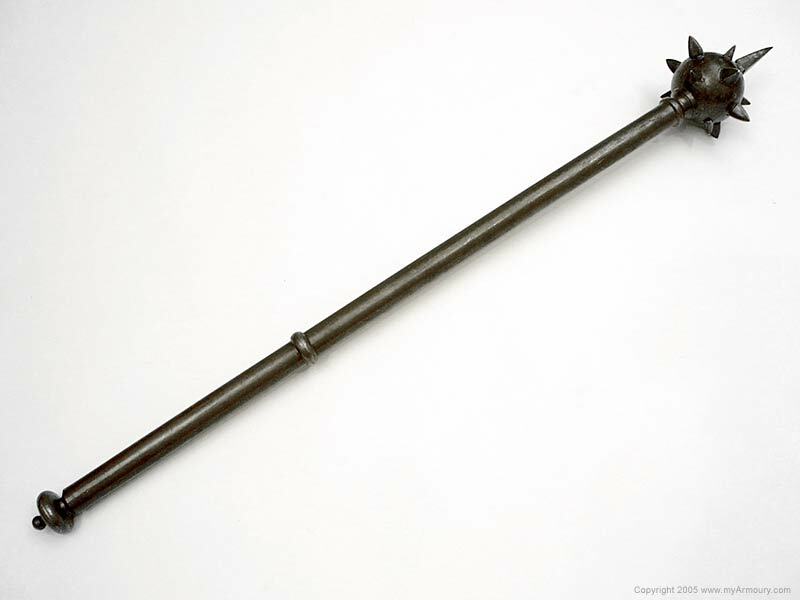 This was a common sidearm for a 15th century knight or man-at-arms. 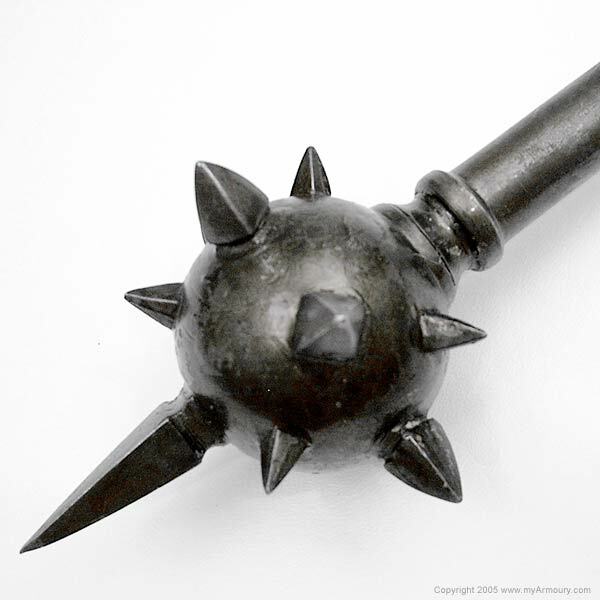 The spikes concentrate the force of the blow upon a small surface area, while the solid steel head carries enough momentum to deliver a severe crushing impact. 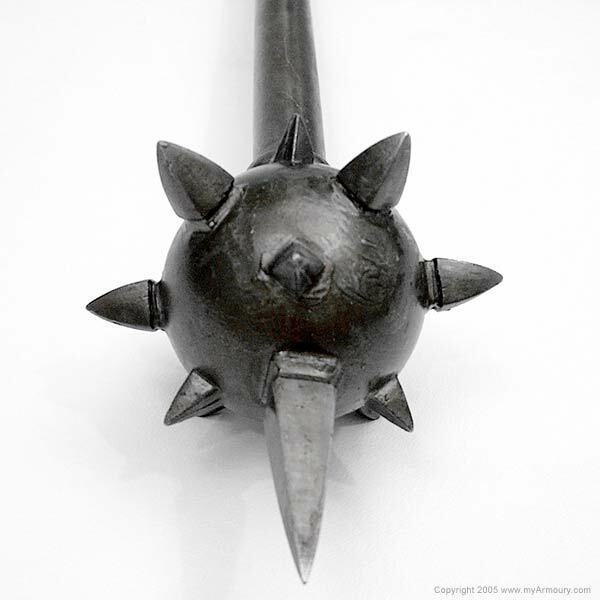 Even with the excellent plate armour of the time, this weapon could crush, dent, and maim the best protected warriors. 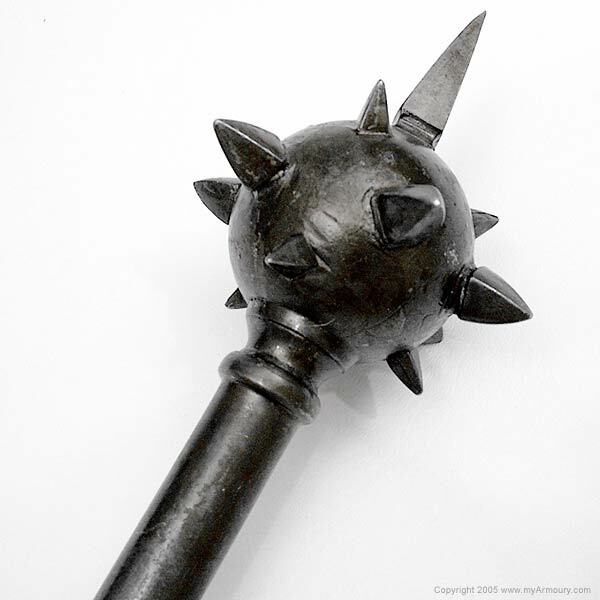 The relatively small head allows for a lighter weapon, permitting quick repeated strikes. 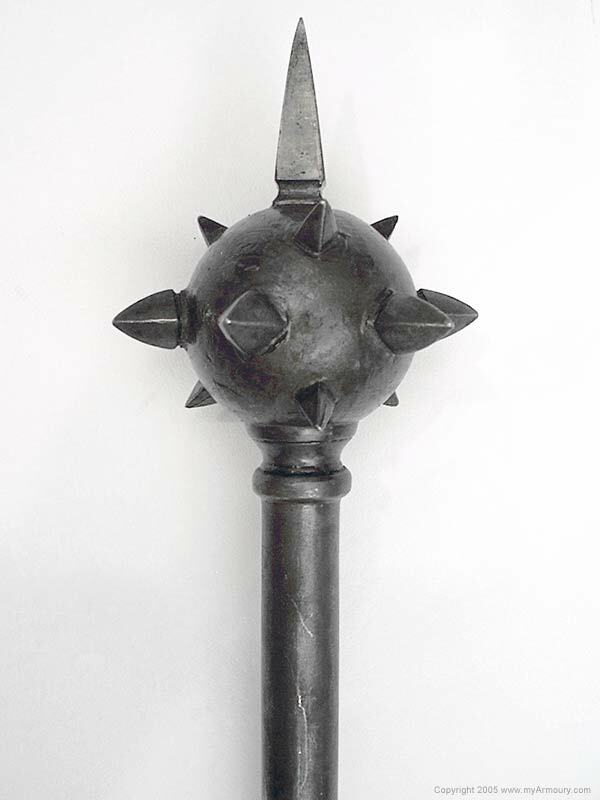 This replica features a cast tool steel head and a tubular steel shaft capped with a decorative finial. 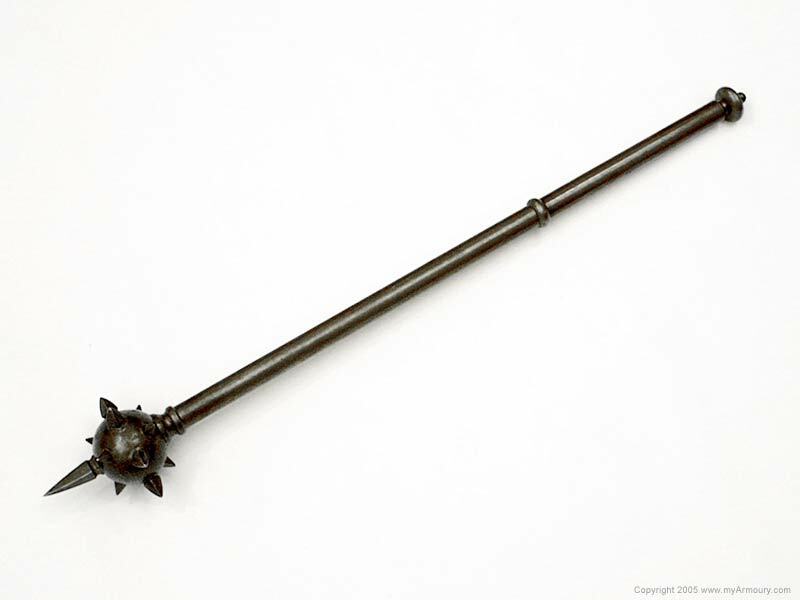 The owner has "browned" the weapon for protection of the metal. It also provides a rustic, aged effect aesthetically. Maker: Arms & Armor of Minnesota. Irish Arms Irish Iron Age Short "sword"
Museum Replicas Limited "Hero Spear"